Place a bench inclined at 45 degrees between two low cable pulleys. Grasp both stirrups (handles) and lie supine (on your back) on the bench, with your feet flat on the floor. Position the stirrups to the sides of your chest, with your elbows flexed and tucked into your body a little. Exhale as you press the stirrups upward and inward until they nearly touch at the top of the movement. Inhale as you slowly reverse the movement and lower the stirrups towards the starting position until you feel a mild stretch in your chest or shoulders. Keeping your elbows tucked into your torso a little helps to reduce the pressure on your shoulder joints, which promotes shoulder health. Although you can build more mass with the barbell and dumbbell incline bench presses, the incline cable bench press has a unique benefit and therefore deserves to be incorporated into your routine sometimes. 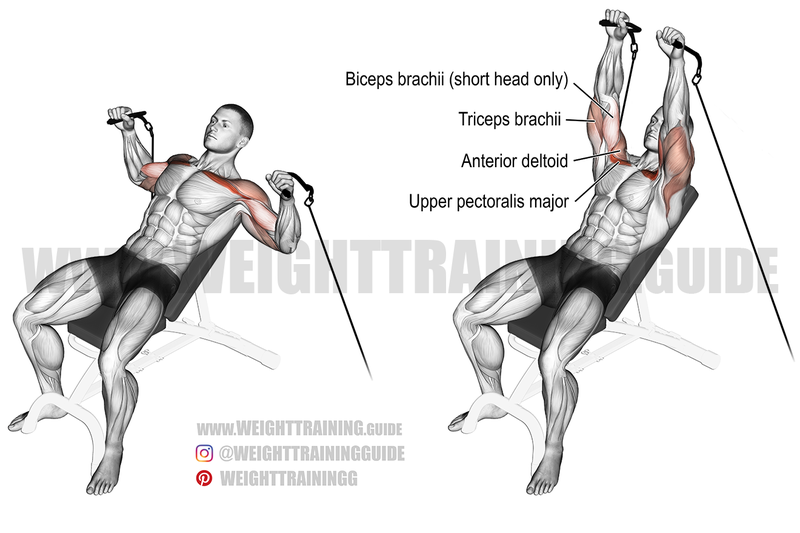 With the barbell and dumbbell incline bench presses, the resistance is directly downward, and your triceps brachii take over much of the force from your chest at the top of the press. 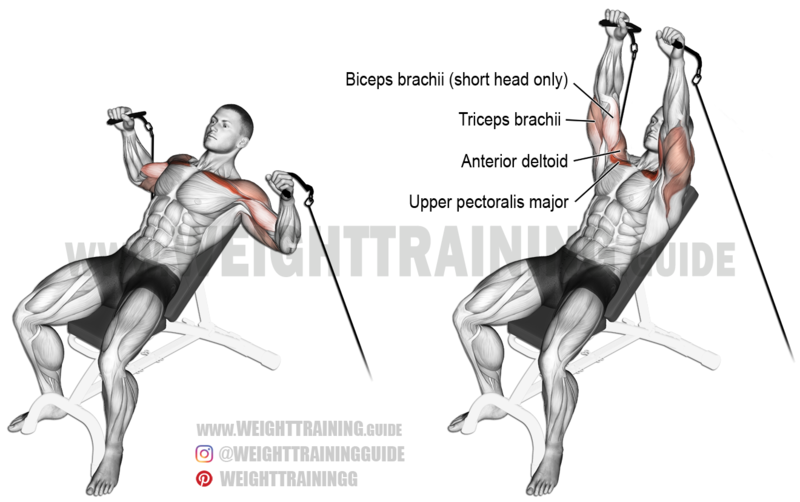 In contrast, the incline cable bench press maintains more focus on your upper pectoralis major throughout the movement because the resistance originates from an angle and you have to push the stirrups upward and pull them inward at the top of the movement. Doesn’t lower chest get worked?